Internet users are becoming increasingly aware of the growing threat of online censorship and surveillance. In some countries, the situation has got so out of control that people are being put in jail just for expressing opinions that are considered unacceptable by their own government. But even if you live in a country where freedom of expression on the internet is still respected and protected, there are still many reasons why you might want to use a VPN service to prevent others from monitoring your online activity, and we know which VPN services can keep you anonymous in 2019. How to Choose a VPN Service? Instead of simply opening the Google Play Store or the Apple App Store and downloading the first VPN app you come across, you should first answer a few questions to determine which VPN service is right for you. How much money are you willing to spend? Quality comes at a price when it comes to VPN services. Yes, there are free VPN services that let you establish an encrypted private network across a public network, but they’re usually severely limited. If you intend to use a VPN service on a daily basis and don’t want to keep running into roadblocks, a paid VPN service is the way to go. How much privacy do you require? All VPN services hide your internet traffic by routing it through an encrypted tunnel. This means that even if you access a website that doesn’t use the HTTPS protocol for secure communication over a computer network, nobody will be able to analyze your online traffic. That said, some VPN services go a step further and locate their servers in a country with no data retention laws, such as Panama. Which payment method do you prefer? These days, there are many different ways how you can pay for a VPN service. Virtually all VPN services accept credit and debit cards, and most also welcome PayPal users. In recent years, several VPN services have decided to embrace cryptocurrencies and start accepting Bitcoin and Monero. Are there are particular features you can’t live without? Some VPN users can’t live without 99.99 percent uptime, others demand best-in-class encryption, and you may insist on split tunneling, zero-knowledge DNS, 24/7 customer support, or any other feature that you can expect the best VPN services to offer. Which operating systems do you use? It’s very important to select a VPN service provider that has a VPN client compatible with your operating system. Ideally, you want to be able to use your VPN service both on your desktop computer and mobile devices, so pay attention to OS compatibility when choosing a VPN service. 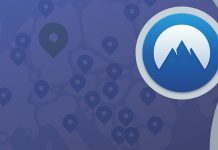 NordVPN is an extremely popular VPN service provider and our personal favorite. It works on Windows, macOS, Linux, Android, Android TV, and iOS. With a single NordVPN account, you can secure up to 6 devices at the same time, making the service well worth its affordable price of just $2.99 per month. NordVPN has servers in 62 countries, accepts cryptocurrency payments, has a strict no logs policy, and doesn’t limit your bandwidth in any way. It takes just a few minutes to get started with NordVPN, and your satisfaction is backed with a 30-day money-back guarantee. Private Internet Access, or PIA for short, is a value-oriented VPN service founded by Andrew Lee, the official successor to the Korean Imperial Household, also known as the House of Yi (Lee). PIA is a proud sponsor of many different open source projects, including Inkscape, GNOME, and Krita. The service starts at just $2.91 per month, making it even more affordable than NordVPN. It features peer-to-peer support, instant setup, built-in adblocking, and unlimited bandwidth. PIA has servers over 3,000 servers in more than 30 countries, and the service is constantly growing. ExpressVPN is a trusted VPN service provider with apps for Windows, macOS, iOS, Android, Linux, and routers. Other supported devices include Apple TV, Fire TV, Smart TV, PlayStation, Android TV box, and many more. ExpressVPN protects its customers from surveillance with 256-bit AES encryption, which is the same encryption the National Security Agency (NSA) uses for top secret information. Because ExpressVPN is based in the British Virgin Islands, a British overseas territory comprising four main islands and many smaller ones, it doesn’t have to keep any activity or connection logs. PureVPN is a Hong Kong-based VPN service operated by GZ Systems. It currently has over 3 million users around the world, who can enjoy excellent speeds provided by more than 2,000 servers in 180+ locations. With a single PureVPN account, you can protect up to 5 devices at the same time, which is great news considering that it costs just $2.95 per month with a one-year contract. The supported payment methods include credit card, PayPal, Alipay, CoinPayments, PaymentWall, BlueSnap, and gift cards. Included in the price is 24/7 technical support and support for split tunneling, which lets you choose certain data through your ISP and certain data through your VPN connection. ProtonVPN is a progressive Swiss-based VPN service that first passes user traffic through its Secure Core network, ensuring that even a compromised VPN endpoint server will not reveal your true IP address. You can connect to ProtonVPN over Tor and enjoy blazing-fast speeds thanks to its 10 Gbit servers. All complexity is hidden behind a well-designed user interface, so you don’t need to know much about computers to experience why ProtonVPN is such a great choice for browsing the web, streaming music, and watching videos. TorGuard is not the cheapest VPN service in the world, but it’s right up there when it comes to reliability and features. It uses AES-256 encryption with SHA-512–alongside unique uncrackable protocols like Stunnel, OpenVPN, SSTP, and SSH to hide your real IP address and online activity and let you enjoy the internet with the privacy you deserve. Because TorGuard has servers in over 50 countries, you can use it to unblock geo-restricted online services, apps, and games regardless of where you live. CyberGhost is an easy-to-use VPN service that can automatically connect you to the most suitable server depending on your geographic location. Of course, you can also manually connect to any server you want to make your traffic appear is if it’s coming from a completely different part of the world. CyberGhost works on Windows, macOS, Linux, iOS, Android, and Amazon Fire TV & Fire Stick. In 2019, there are many excellent VPN services to choose from. If you care about your privacy and want to use the internet without being monitored and told which sites you’re allowed to visit, you shouldn’t hesitate even a second and purchase a VPN service right now. Remember that your privacy is worth a lot more than a few dollars every month, especially since VPN services have so many extra features that make them worth the cost. What is The Pirate Bay (TPB)?